← Building Your Own Goedesic Greenhouse… Baby Steps! 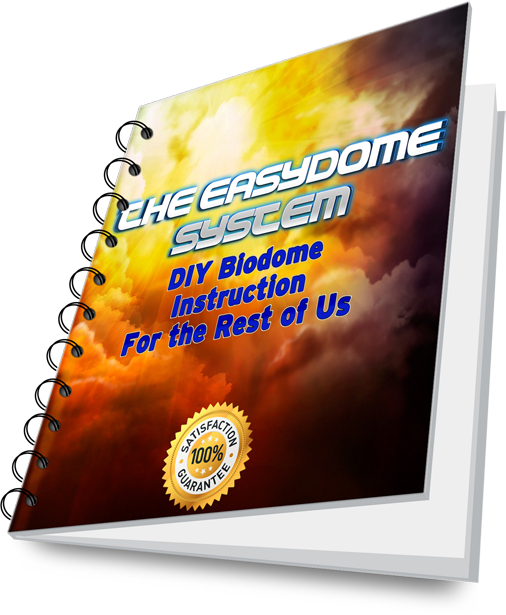 So you have your very own geodesic greenhouse, maybe you bought a greenhouse kit or maybe you ordered the Biodome Revolution eBook and built a greenhouse in your back yard. No matter how you did it there will most likely be days when the sun hasn’t been shining, (unless you live in the southern United States in which case you can skip this post) your water tanks are cooling down and its looking like it might stay that way for a while. Now as many gardeners know the secret weapon of greenhouse growing is heat. Right after light most plants love heat, especially on the roots. Not sauna like heat just enough to keep the metabolism working well. Say between 50-80 degrees. So when the sun isn’t out and things are starting to cool down what do you do? Well if you have thought ahead and used “appropriate” technology you can keep your precious plants warm with a few sticks of wood a couple of times a day. How might you do this you wonder? With the amazingly clean burning Rocket Mass Heater! Originally designed for cooking in developing nations but modified for heating in our colder climates this type of stove has many advantages over a normal wood stove and can be built with cheap or free materials by almost anyone with some basic skills. Cheap to build. Many home builders have made these amazing stoves for free! Efficient. The inventor Ianto Evans of Oregon’s Cob Cottage Company went from using 4 cords of wood per winter to using .5 of a cord! Uses small fuel. Easier to deal with. Less cutting, stacking, etc. Uses free fuel. If you are in a suburban location troll the construction sites and back alleys and you will have all the small, dry scrap wood you can burn! Safe. Because of the unique design it can not overheat, have a chimney fire, blow up or generally ruin your day. You have to feed it oftener than a regular wood stove. True but you have to run it for a shorter time so it all works out. 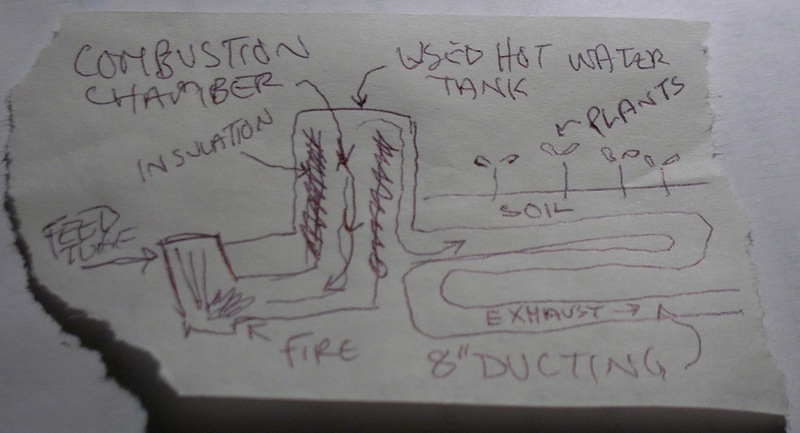 The sketch above is a side view of a rocket mass heater with the exhaust going through a seed starting bed. The used hot water tank provides radiant heat to the air of the greenhouse and the duct heats first the bed and then even the water tank for storage. 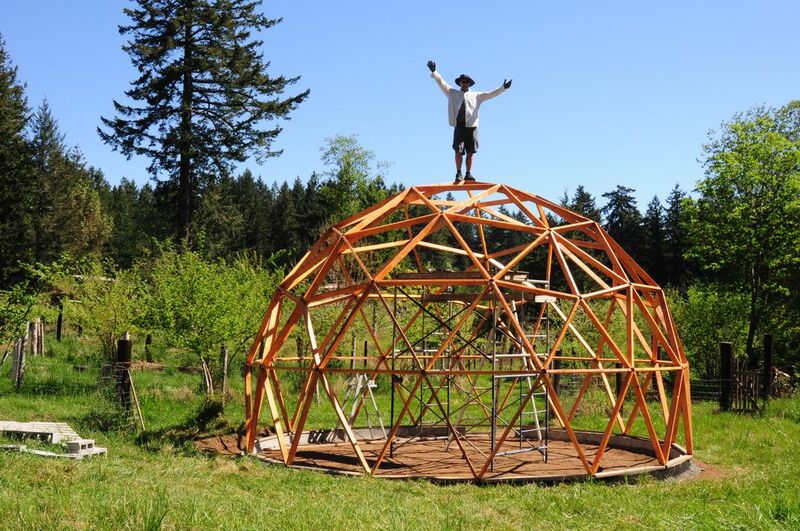 Start it for an hour in the morning and once again before bed and your geodesic greenhouse will stay well above freezing. Have fun! And check back here as I will be posting pictures of my rocket mass heater build soon. This entry was posted in Heating Your Geodesic Greenhouse. Bookmark the permalink. Tis good, the Rocket heater, surely. For the roots, you may consider putting a wall of insulation down into teh ground to keep the cold from creeping in under the dome floor. Check out the PAHS underground home, and how they form and Umbrella” over the dirt. Keeping the dirt dry around the building vastly adds to the warmth of the soil, year round. I am excited to try a rocket mass heater for our Canadian winter also looking at hot water from composting using the Jean Pain method as another option for greenhouse heating. Do you have any designs for the Rocket master heater? Love your web site. 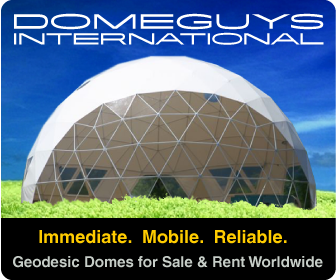 We are looking to build several Domes in Washington State. Could I come and visit with you in the Vancouver area sometime? Amy and I will be building a rocket mass heater for our studio in the next few months so stay tuned for images and posts about that. 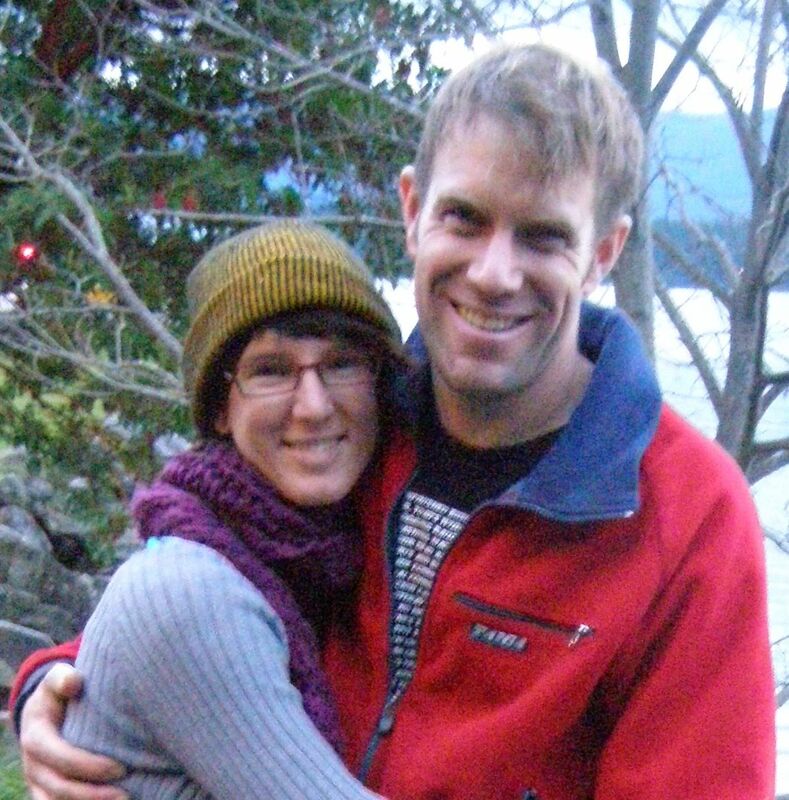 Meanwhile check out Ernie and Erica Wisner at http://www.ernieanderica.com for rocket mass heater information. If you are heading up this way of course give us a shout and we can get together and talk biodomes, mass heaters and other fun greenhouse stuff! Good question. I have been using Llanto Evans (from the Cob Cottage Company) book as the basis for my rocket mass heater design. I attended a weekend build of a rocket mass heater in Southern Washington with Ernie and Erica Wiesner so wish me luck on the build! And of course you can stop by whenever you are in the area.